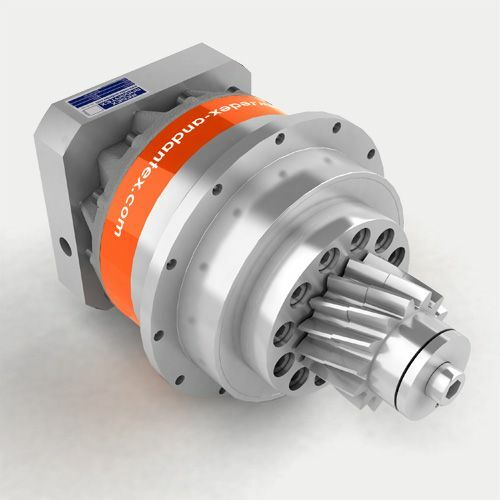 High-tech servo-reducer combined with a preloaded split pinion output (PDP) PDP is the first range of “Preloaded Double Pinion” for high-precision rack and pinions applications. PDP is made of 2 ground WMH pinions connected through a patented preload system to reduce dramatically rack and pinion mesh backlash. This innovative concept allows high positioning accuracy and repeatability with a very competitive budget. Through its universal design, PDP enables design engineering departments to always find exactly the right solution to their high-technology requirements, thanks to its very wide range and several available options when mounted on SRP. The input interface offers in-line or right-angle flange versions as standard. PDP is a competitive alternative to ball screws with superior performances.